VAT of fuel consumption, tolls, hotels, taxis, repairs, ferries, attendance to trade fairs, etc. Are you travelling to Europe? Did you know that you can request reimbursement of VAT paid for your purchases during your journey? 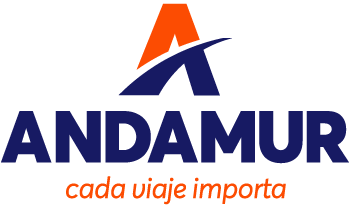 If you have a company or are a freelancer with purchases in EU countries, where you are not fiscally based, Andamur manages the recovery of VAT paid for products and services related to your activity. You can recover VAT from fuel consumption and tolls, and also from hotels, taxis, repairs, ferries, trade fairs, etc. The amount reimbursed will vary depending on the country and type of purchase. Please send us the invoices containing the information about the purchases. In the case of Andamur clients, we already have this information. In addition, you will benefit from lower fees. An Andamur VAT Recovery expert will manage the invoices with the country were the purchase was made. Reimbursement requests are submitted on a quarterly basis (€400 minimum) or annually (€50 minimum), depending on the cumulative amounts. This way, we recover the money in the shortest time possible. You will get the relevant amounts back directly in your account in a period of 4 to 8 months.